It’s the Tipsy, Topsy Numbers Game™ that includes three levels of play: number recognition, counting and addition! Brie recently turned 3 and is learning so much in preschool that I’m trying to supplement her learning at home. When we moved into our home last April, I ended up donating many of Brie’s older sister’s STUFF to various charities and some items ended up missing along the way. Our box of manipulatives suddenly didn’t have the right number of each color, flash card decks only had circles, etc., so I started to try and piece together activities for Brie in the evenings or on weekends to try and make sense of it. Brie is doing so well at her full-time preschool and with Bob and I both working full-time we don’t concentrate as much on learning activities as much as we did when Brooke was younger. 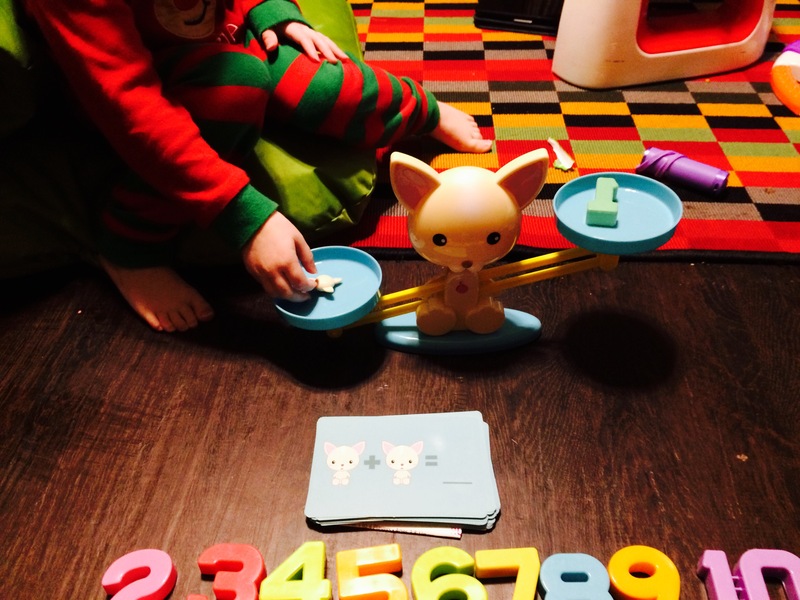 Brie is making so many connections and having such a learning growth at her age that we began to look for a complete game that would bring together her new love of counting, reading the numbers, and starting to do simple math. I’m happy to say that a new game called Puppy Up is a wonderful resource geared towards preschoolers and I also learned that the company who makes it, PlayMonster, is formerly the most-loved company Patch Products! Where have I been?!?! 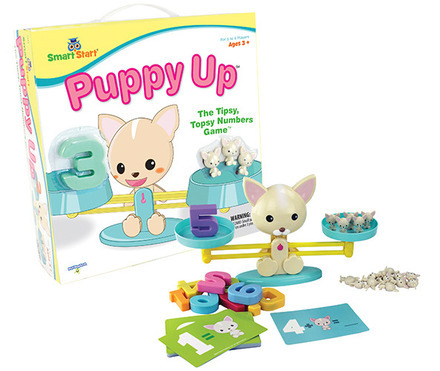 Puppy Up is the new Tipsy, Topsy Numbers Game™ that includes three levels of math play for early education: number recognition, counting and addition. The game is for 1 to 4 players and each player picks a card from the deck to practice adding and counting with adorable puppy manipulates. For example, a Puppy Up card could say, “3+(picture of 1 Puppy Up)” to indicate the number 4. 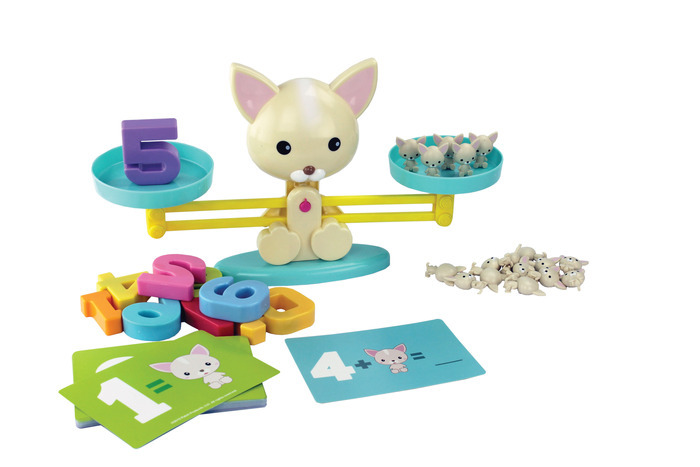 The child would use the card to determine the number of puppies to put on one side of the Puppy Up scale and find the weighted number 4 to include on the other side of the scale. The scale balances if the correct number of puppies matches the weighted number. 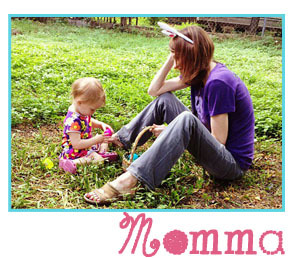 You can practice the game with your child over and over again to help facilitate learning. It is a fun and entertaining way to introduce children to math and get them excited about STEM activities. Geared for Ages 3 & Up! The Philosophy Behind Smart Start™ Games: PlayMonster believes in the importance of balancing fun and education to ensure that children grow and thrive. Each and every Smart Start game is carefully created with that sentiment in mind. Teaching games are only helpful if children play them, and children will only play them if they’re fun! Children are happy playing PlayMonster games over and over because they’re entertained and engaged, and children are learning. PlayMonster (formerly Patch) is a company serious about fun. PlayMonster is home to fun games and toys like Stratego, Game of Things, 5 Second Rule, OK! to Wake & more! About Smethport and Patch Products: Smethport gets their name from the city of Smethport, PA where Ralph Herzog and William Kerr started their toy company in 1923 as Marvel Specialty Co with their first magnet set product. You may know them through their popular Wooly Willy magnetic grinding drawing toy that was first produced in the 1950s and you can purchase in toy retailers in the United States today (and you can now even get Wooly Willy as an iPhone App!). It was Smethport that acquired the Lauri® Toy Company in 2003 (see my earlier review of their Tall Stacker Pegset for a product recommendation) and in 2008 Smethport and Lauri joined the awesome family of the seriously fun Patch Products that are now under the company PlayMonster as of 2016.